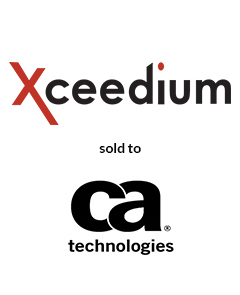 AGC Partners is pleased to announce that its client, Xceedium, a leading provider of privileged identity management solutions, has been acquired by CA Technologies. This acquisition will extend CA’s security portfolio, giving customers a comprehensive solution for controlling and protecting IT administrator and other privileged user accounts from external attacks and insider mistakes and malicious misuse. With a team led by Maria Lewis Kussmaul, and including Eric Davis and Alex Otero, AGC Partners acted as sole financial advisor to Xceedium.